I heard that, pm has made new bosses like "Atlanat" to interlace them with old bosses to create some excitement and to please especially old players! However, with such poor stats, it is seems to be a very weak card for both new and old players. Simple math: while "Atlanta" has only 28 more attack power, it has almost half HP (362 less) and less than half Recovery (227 less)!!! Hi mefa, it's because Sif is a balance type card and her skill is to heal and Atalanta is a attack type card and her skill is to deal 25x damage. The max attack power of the 7 and 8 star Sif is 1292 and 1788; the max attack power of the 7 and 8 star Atalanta is 1582 and 2208. The 7-star version of Atalanta has 290 more attack power, and the 8 star version of Atalanta has 420 more attack power. Keep in mind their active skills are very different, and Atalanta's active skill gives both great attack and defense. Updated: [admin] corrected max Atalanta stats. Each card have different stat growth rates that may not be proportional to their level 1 stats. 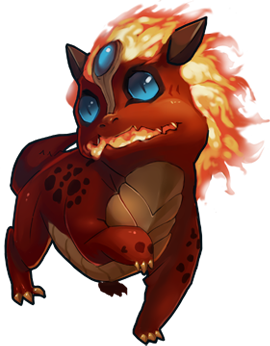 We were planning to make the new bosses the fast growth type like the dragon queens cards that start out low but grow high. But since we have players like to compare level 1 stats across two different series, we will make the new boss normal growth type and change the level 1 stats, but it won't have much effect on their max level stats. Oh, it's not a snap back. We are honestly concerned that many players may likely also compare level 1 stats of the card and come to same conclusion. It would be unfortunately for players to miss out on a great card because of the wrong comparison, so we changed the level 1 stats that will give better suggestions of final stats (now level 1 attack starts at 703, 7-star max is 1582, 8-star max is 2208). Many thanks for the clarification on the card stats. I was already excited about having an attacking defense card and it's nice getting a sneak peak at it's final stats. Thank you for your kind clarification. Although, I am still not very excited about the card, I understand your point to extend the help game to be alive and not broken. still, I think, new cards are very similar and not much advantage to older players. A part of my tone, is because of the leader skill and continuing poor performance of the shop (even the highest level) and the drop rate. by poor performance, i mean waiting more than a year for a Zeus or a naga and by drop-rate, i mean playing 5*20min of a hell level to get 1 out 72 cards (2*6*6) that you need for skill up! I haven't gotten a Zeus either, they've never appeared for me. I'm not complaining, don't need it.